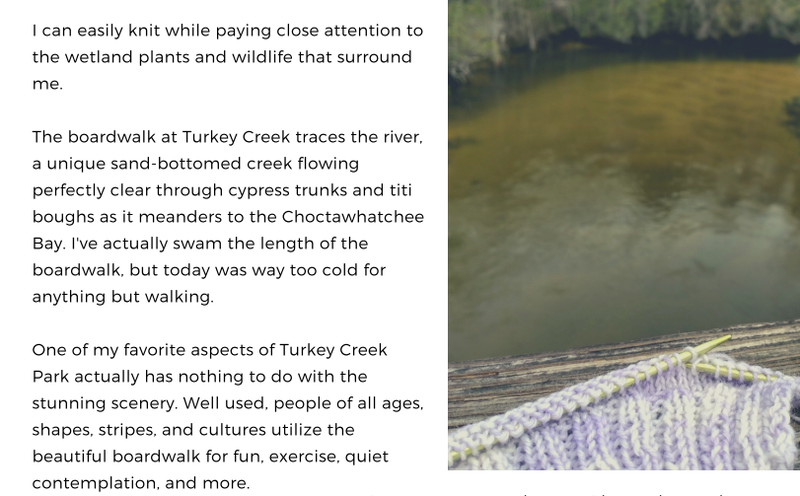 Local park in Niceville, artisan dyed yarn by Knitty Kitty Bags, reflections on sock knitting. 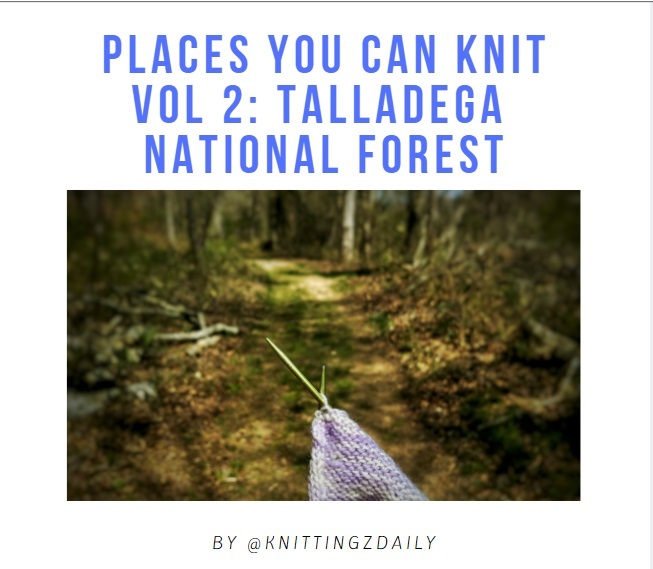 National forest in Alabama, gray and white yarn from Chile, a new garter sweater. 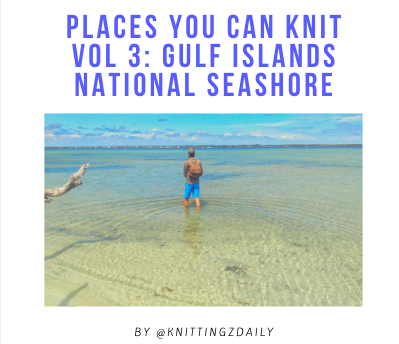 National seashore in Florida, recycled lambswool yarn, scrap yarn hats.